The Director of Kilsby Australia is David Kilsby. He is a transport professional with over 30 years experience, mainly in urban and regional planning, public transport and demand modelling. 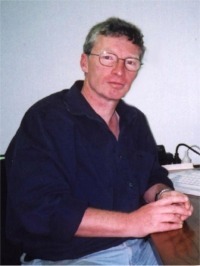 After early research in urban modelling, David worked for many years and in many places for UK consultants Colin Buchanan and Partners (CBP). In 1987 CBP established a joint venture with the Australian consultancy Sinclair Knight and Partners (as it then was). David, having come to Australia as the inaugural manager of this venture, eventually became an Australian citizen and a senior executive at consultants Sinclair Knight Merz (SKM) for several years. In 2000 he established Kilsby Australia as an independent consulting practice. In the southern hemisphere, David has worked on transport projects in most states in Australia, in New Zealand, in Indonesia and in South Africa. These have covered transport policy, land use and transport integration at all scales, road planning, public transport development, heavy rail, light rail, buses, unconventional transit technology, bicycles, freight, environmental studies, social policy, urban design, modelling methodology and application, workshop facilitation and other areas. David is a prolific contributor to professional forums in transport and planning. He chaired the National Committee on Transport (Engineers Australia) in 2003 and 2004.